We have another phone which uses Mediatek MT6589 here with us and this phone has been launched by Intex in their smartphone series named Aqua. As per the specs on the papers the performance of this phone seems to be good and moreover its attractive price of 11,690 INR will attract most of the users to them. Micromax Canvas 2 Plus and Wickedleak Wammy Passion Z both of them are the good contenders of this phone. Let us take on the specifications of this phone. 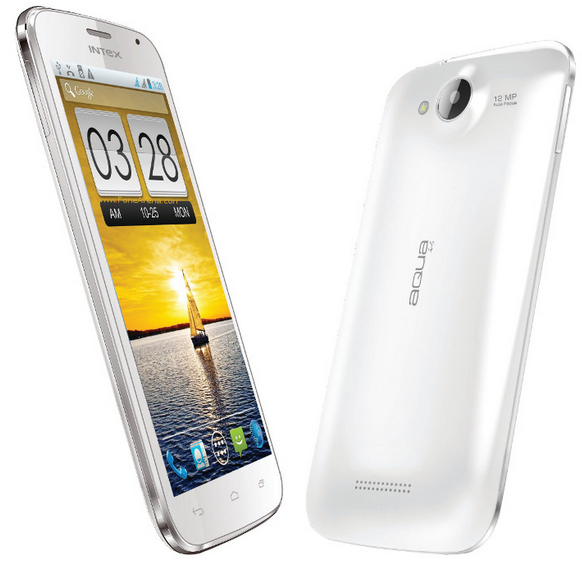 The power on this phone is supported by (as mentioned above) the Mediatek Quad Core Processor where the cores have been clocked at the frequency of 1.2 GHz (one of the most common processor which are being used these days in the smartphones under this price range), this power is further supported by 1GB DDR3 RAM which is something rare in the phones under this price range. The cameras used on this phone are also decent with the 12MP supporting at the back of the phone which also supports auto-focus, geo-tagging and other common features and the availability of 2MP camera in the front is adequate enough for video calling purpose. The display size of screen is 5 inches (this is something which has become a standard size of the smartphones) with qHD resolution (960 x 640 pixels), so the pixel density will not be good enough to give you a decent clarity. The internal storage capacity of the smartphones is 4GB and because it operates on the Jelly Bean Android 4.2 so you can also use the external memory card space to install the applications as much as you want to as you can extend the storage capacity up to 32GB with the help of microSD card slot. 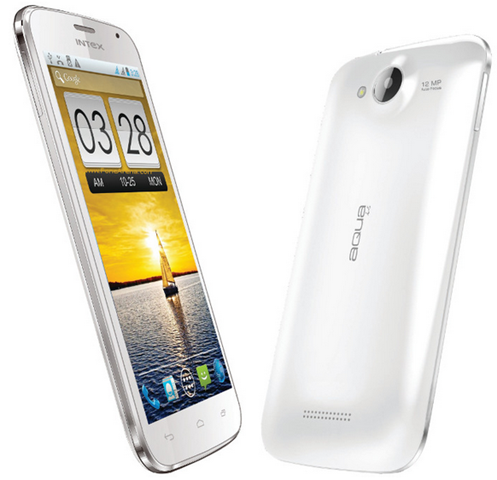 Intex Aqua i-5 is a Dual SIM smartphone which supports GSM bands along with 3G connectivity on both the SIM slots and moreover the battery strength of the phone is 2000 mAh which is not good enough for the phone with such a screen size, processor and the Operating System but again when you are looking at the cheaper phones then you will have some areas in which you will have to compromise a little bit.